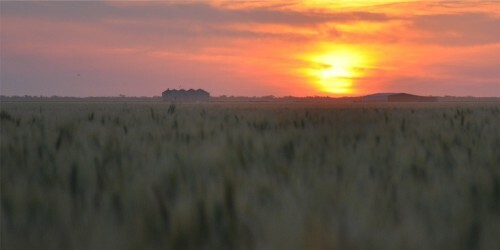 The sun sets on another harvest, marking the end of a successful winter cropping season. We have seen excellent results across all crops, even through very dry growing conditions. It comes back to the February floods and the amazing water holding capacity of our soils. Of course, there were many problems to solve along the way, but thats part of the challenge of farming. For their help over harvest, we would like to thank Jock, Jungle, Casper, Danny, Tom, Rex, Frank, Steggles, Will, Scott and Vincent, and all the crew from TBO Harvesting for a job well done. Jacqui cooked some great harvest meals that kept us working till late. Also thanks Vernon for your help, and to the service guys from Kenway and Clark “A” for effort. We would like to wish everyone a safe and happy Christmas and New Year. We look forward to doing it all again in 2013.